Zac Ferry, World Executives Digest | When men hear the word “hairstyle”, they forget about the hairs on their faces and only think of hair on top of their head. Men have to take care of how their haircut interacts with facial hair, which is a very important thing when it comes to stylish mens haircuts. One must not treat the beard and the hair like two different entities, but find a synchronization between the two to achieve glory. The beard and haircut should be treated as equal components. 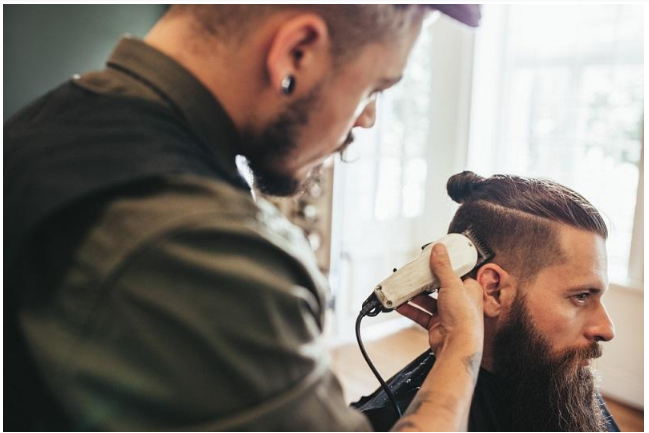 The Undercut: The undercut is one of the most popular and stylish mens haircuts around today and guess what? You can match it with a beard perfectly. It is one of the best styles for a man with a beard. There is something to keep in mind, the length of the beard must be same as the length of the undercut. Like if you use a #2 clipper for the undercut then use a #2 clipper for the beard as well. So that the beard looks like an extension of the cut. The Man Bun: The man bun or top knot was designed to go with a proper beard. The hair on the head is tied into a small knot at the back and the beard adds a nice contrast to this. You cannot sport a stubble with this and the best way to go is to have a beard that is four to six weeks long depending on the rate of growth of your facial hair. This look is sort of right in the middle, as it is not clean shaven or not too bushy. The Long Hair: This is a great pairing for a bearded man. The long hair goes perfectly with a beard and is a stylish mens haircuts. Off late, longer hairs have become mainstream mostly due to many rock musicians sporting it, thus inspiring this style. The long hair comes with a sort of hipster tag to it, but it can be paired beautifully with a short beard like a stubble. The contrast this creates gives a desirable look. Messy Hair: Messy hair has forever been a stylish men’s haircut to go along with a scruffy beard. This generally gives a very carefree and rebellious image of someone, which a lot of people appreciate. The great thing about this is that someone can keep an uneven beard and it doesn’t require much trimming. If the beard goes out of control, a quick trim can get it adjusted back again. The Side Parting: The side parting is one of the most classic stylish mens haircuts that has had many versions of it since the olden times. One can go for a Peaky Blinders style side parting or the one with more volume of hair on the top. This sort of haircut goes with a short beard, but not too short. A trim with a #2 clipper should do good and one can allow more beard under the chin if needed. The Quiff: The Quiff is again an iconic stylish mens haircuts that has been sported by icons over generations. It is very popular among people everywhere and it can be paired with a shorter cut of the beard. But anything from a stubble to a longer beard can go with the quaff, so it depends totally on experimentation sense of the guy. Next articleDo you know how often you should visit the dentist?